Early detection of potential health issues is essential to avoiding costly and complex conditions. Most district health-plans cover screenings for detecting anything from high blood pressure to cancer, but preventative coverage only pays off financially when plan members actually utilize screening services. The benefits planning experts and onsite care operators at Crowne Consulting Group report that a high percentage of employees, retirees, and dependents with access to an onsite or near-site health center utilize screening services and complete Health Risk Assessments (HRA). “Our onsite-care model ensures health screenings, exams, and X-rays are free and conveniently accessible for plan members,” said Ray Tomlinson, president of Crowne Consulting Group, which has helped dozens of Florida employers to implement onsite care to mitigate risks and prevent high-dollar claims due to unchecked conditions. Unlike outdated wellness programs triggered by large claims, onsite healthcare services provide a proactive approach based on extensive lab work and assessments. 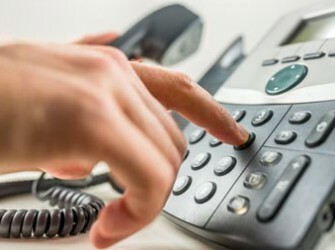 This allows medical staff to proactively bring medical concerns to the attention of patients as well as create a unique plan of action and accountability for preventing more extensive health problems. If any condition requires screenings for early detection along with a customized plan upon diagnosis – it is cancer. According to the National Institutes of Health, cancer costs will reach $158 Billion by 2020. Crowne Consulting Group has worked with RN Cancer Guides Solutions to help school districts deliver an individualized approach to cancer care. Florida-based RN Cancer Guides Solutions is the nation’s first-ever team of oncology nurse specialists reviewing claims and attending patient appointments to make real-time improvements in healthcare. Through its Employee Cancer Assistance Program (ECAP), school districts leverage value-based care and guided support for plan members to achieve the best possible outcomes, which result in reduced claims costs. “Through special partnerships and an individualized approach to prevention, onsite health and wellness centers are coordinating solutions to make a tremendous impact on member’s health and their wallets,” added Tomlinson. 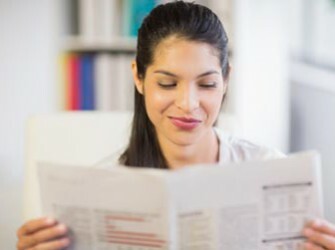 In addition to discussing medical concerns with a qualified physician, savvy healthcare consumers may research official websites like American Cancer Society, AACC’s Lab Tests Online, American Heart Association, and Mayo Clinic for guidance in maintaining health and keeping up-to-date on recommended health screenings. Crowne Consulting Group’s clients have included school districts, cities, counties, sheriff’s offices, and private organizations. Visit www.crowneinc.com or call 407.654.5414 for information and employer solutions. Crowne Consulting Group Reports Million-Dollar Savings For Employers With Worksite Healthcare. June 14, 2016 (Ocoee, Fla.) – Crowne Consulting Group and its partners are helping employers lower medical costs through onsite and near-site health and wellness centers for employees, retirees, and dependents. By providing pass-through services without mark-up costs, Crowne’s Florida-based team and its medical affiliates are helping employers reduce the cost of typical insurance claims. Employers save money, while plan members reap the benefits of free and easy access to primary care, screenings, wellness programs, and prescriptions. Crowne Consulting Group and its partners are helping other employers save millions of dollars through the implementation of customized onsite-care programs. President Ray Tomlinson emphasizes that an advanced, patient-centric approach can boost clients’ financial successes. Pasco County Schools, for example, is showing major returns since launching onsite care in 2011. Crowne Consulting Group, Inc., founded in 1986, provides administrative oversight services for worksite health and wellness centers and is a related company with The Crowne Group, an employee benefits consulting firm specializing in employer solutions and personal lines of insurance. Crowne’s experts serve public sector employers such as school boards, city and county government, sheriff offices, as well as private organizations. Solutions for consumer-driven plans include health reimbursement arrangements, self-funded plans, onsite health and wellness centers, as well as risk management and human resources consulting. In response to the growing demand for comprehensive care, Crowne is continuously adding new solutions for employee healthcare. 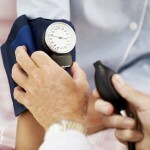 Today’s healthcare system provides an array of screenings for detecting everything from cancer to cholesterol issues. Screenings have become an essential component of preventive healthcare. Detecting health issues early can be the key to avoiding costly and complicated illnesses in the future. In step with the movement towards consumer education, well-informed employer groups and school districts are launching onsite and near-site health and wellness centers to incentivize employees, dependents, and retirees to keep up-to-date on disease management and preventive health screenings. As a first line of defense, the onsite-care model ensures health screenings are free, easy, and conveniently accessible. Unlike outdated wellness programs that are triggered by large claims or passive educational material, the onsite-care model includes an active approach based on extensive lab work and Health Risk Assessments (HRA). 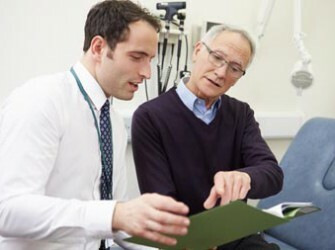 The medical team can offer recommendations for when a patient should be tested and can provide customized care to meet each individual’s unique needs. Physicians can proactively bring medical concerns to the attention of patients as well as create a potentially life-saving plan-of-action for patients to avoid future health problems. A national Health and Productivity Survey from 2015 indicated that HRA and biometric screenings remain popular components of worksite wellness programs, with 57% of 700 surveyed employer organizations offering an HRA. Through easy accessibility, onsite and near-site health centers offer a solution for increasing utilization of HRAs. Florida-based Crowne Consulting Group and its affiliates are helping dozens of employer organizations to operate onsite healthcare centers, in which high percentages of members utilize HRAs and screening programs, helping clients prevent high-dollar claims for chronic diseases including diabetes and congestive heart failure. Pasco schools’ first-year results included a 34 percent decrease in diabetes claims costs. Increased screenings, HRAs, and easy access to preventative care are helping employers achieve millions of dollars in financial savings for taxpayers and reallocating those dollars for other school resources. Additionally, by shifting from disease management to disease prevention, health centers are providing a positive impact on members’ health and their wallets. Contact Crowne Consulting Group for more information about onsite care. Nov. 14, 2013 (Ocoee, Fla.) – Crowne Consulting Group, an employee benefits consulting firm specializing in onsite health and wellness centers in Florida, reports that the City of Leesburg has saved millions of dollars by adding a worksite health center for employees, retirees, and dependents covered under its healthcare plan. 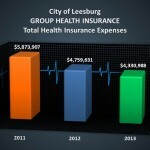 The City of Leesburg’s Employee Wellness Center saved the city $1.3 million within the first year of opening in January 2011. The trend continued in 2012 with $459,000 in savings, and this year pushing $600,000 saved dollars back into the general fund. Dann Herrin, Leesburg’s Assistant Director, Human Services, says these savings will increase because the city has recently added workers’ compensation, triage, and occupational health services through the employee wellness center, which is co-operated by Crowne Consulting Group and Tennessee-based CareHere, LLC. Approximately 86 percent of the city’s 1100 eligible members eagerly visited the center in the first year for primary care, screenings, and chronic disease management. A reputation of quality service and no out-of-pocket costs drove utilization up to 96 percent this year. Crowne Consulting Group, Inc., founded in 1986, consults and provides administrative oversight services for onsite health and wellness centers to employers and is a related company with The Crowne Group, an employee benefits consulting firm, specializing in employer solutions and personal lines of insurance. Crowne’s experts have experience in serving public sector employers such as school boards, city and county government, as well as private organizations. Solutions for consumer-driven plans include health reimbursement arrangements, self-funded plans, onsite health and wellness centers, as well as risk management and human resources consulting. Dade City — Lose weight. Rita Mitchell had heard the words many times before. But it wasn’t until the Cox Elementary School prekindergarten teacher got the advice during a health risk assessment at the Pasco County school district’s wellness center that she took the message to heart. Mitchell learned she was at risk for diabetes, and heard loud and clear what ignoring the signs could mean. Flash forward a year, and Mitchell is a new woman. Her success mirrors that of many other district employees, and of the health clinic program that the school district introduced two years ago. The School Board approved spending about $1.5 million a year to operate three school-based clinics, offering free appointments and medications, in addition to preventive wellness programs for employees. The idea was that the district would save money in the long run by reducing insurance claims and related expenses. Last year, the district saw its claims drop by more than $2 million, with per-employee costs down by nearly 5 percent. Its rates did not increase as much as expected, allowing the board to use savings to reduce the number of furlough days imposed on employees. Its focus on diabetes care resulted in a 34 percent decrease in related claims, and the district saw a 26 percent increase in diabetes patients actually getting the monitoring tests they need. Its efforts on weight reduction, expected to net about 1,000 pounds among participants, totaled a loss of 3,800 pounds by those employees. Use of the centers has been so strong, in fact, that the district is considering opening two others, as well as a center focused on occupational health and physical therapy. District benefits director Mary Tillman said they had to add staff to the centers over the summer to meet the growing demand. With medical costs rising, Tillman said, the only real way to cut expenses is to get people healthy. Making visits convenient and affordable, while focusing on managing chronic illnesses and catching problems before they get out of hand, has allowed the district to make such strides. Armstrong said she and her husband both take advantage of the services the clinics offer, and can see firsthand the benefits. Other districts have started looking at Pasco as a model, she added, as they consider establishing their own wellness programs….See Tampa Bay Times for this full story. The hours of operation are convenient for our employees, and the health center is stocking generic drugs based on our past health claims needs, which means that employees walk out with what they need.